Nugget has a mild, herbal and pleasant aroma. Nugget has a mild, herbal and pleasant aroma. Its lineage includes Brewer’s Gold, Early Green and Canterbury Golding. 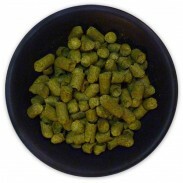 Use as a bittering hop in Ale, Stout, Barley Wine, Saison, Biere de Garde.